*Breath is life and it flows and resonates through our body harmoniously. Are you conscious of your breath? Can you feel whether your breath is shallow or deep? Are you conscious when you are holding your breath? People who practise yoga, taichi, martial art, voice, singing and drama training, for instance, are usually conscious of their breath and deep breathing. Exercises and dancing also involve deep breathing. However, when we are back to the normal routine, are we consciously aware of our breathing and the way we breathe as I have listed the questions above? When we develop a conscious awareness of our breath, we can feel when we are holding our breath, as an example. Breath relaxes, calms and energises the whole being - the body, mind, emotion and spirit. It also helps us to be more grounded in our body and develop a core centre of self. It is not just a breath of life and used only when we are doing yoga, training, exercises, dancing and so forth. It can be re-developed where we are consciously aware of our breath flowing throughout our body without any effort. In fact, we have it, properly along the way, most of us lost this awareness of breath. One of the ways to understand the correct way of breathing is to lie on the floor as you are sleeping and just breathe naturally. You feel your breath expanding to your diaphragm and your rib cages on both sides in the front and at the back. Before you raise from the bed in the morning, do some deep breathing and fill your entire body with your breath. Focus on your breath. Feel the rhythm of your breath through your whole body. You can also repeat this exercise before you sleep. Look out for the next series! Note: Sometimes, breath can be frightening for some people as it is a deep connection with the core self. 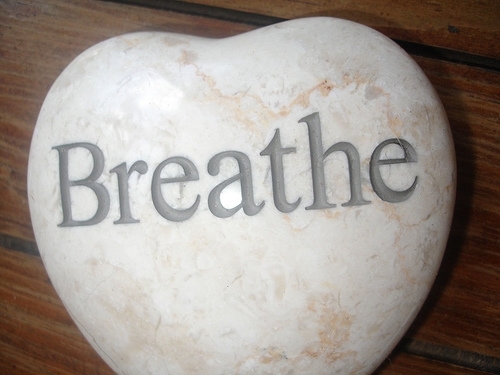 When we suffer from psychological, somatic and emotional problems, often we may find ourselves with shallow breathing, holding our breath or even stop breathing. This is a general sharing and each psychological disorder is complex and detailed information pertaining to disorder is not shared here.